Henryk Arctowski Polish Antarctic Station, built in 1977, is to get a new headquarters. The modern upgrade to the South Pole station has been designed by architects from Kuryłowicz & Associates. Henryk Arctowski Polish Antarctic Station was launched on 26th February 1977, the result of the first unassisted Polish research expedition, which went to Antarctica at the end of 1975. The arrival of Polish scientists at the South Pole and the research station they established on King George Island on the South Shetland archipelago made Poland the thirteenth fully-fledged member of the Antarctic Treaty, an international treaty regulating any activity in the area, which is not owned by any state (the treaty states that the Antarctic should only be used for peaceful purposes, and that different research groups should co-operate). At the Polish station research is done in the areas of oceanography, geology, geomorphology, glaciology, meteorology, seismology, and most of all, ecology. For 40 years Polish researchers working at the South Pole had at their disposal steel halls and container houses. After four decades, the base had not only become too small, but it also didn’t meet its inhabitants’ requirements – it was simply not modern enough. 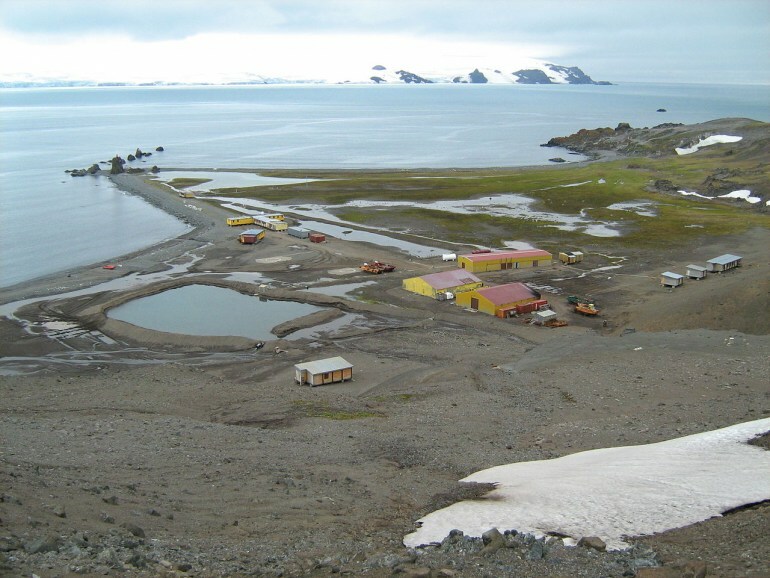 That is why the Department of Antarctic Biology, which takes care of the logistics of operating the base, decided to invest in new Antarctic headquarters. The initial contest was open to several Polish architectural studios, and finally a design by Kuryłowicz & Associates was chosen. The architects consulted with the famous engineering studio Buro Happold, but also took into account the realities of the Antarctic. Bartosz Świniarski and his colleagues from Kuryłowicz & Associates spent time at the South Pole to get to know the conditions which the building will have to endure. In this way, a design for a two-story building which is to replace the station’s container buildings came into being. The new building will contain almost 1,500 square metres of usable space and as well as scientific laboratories it will accommodate 16 residential rooms, a greenhouse to grow vegetables, and a number of common rooms (for example, a kitchen with dining room, library, gym, and sauna). For most of the year Arctowski station is cut off from the world and the common rooms are very important for the scientists living there. The new station in the Antarctic is to be built from many different materials: impregnated wood will be used for the building’s structure, and its façades will be covered by panels from special copper and aluminium alloys, while wall insulation will be taken care of by mineral wool and plywood. Electricity will come from wind generators: in the Antarctic, the wind can gain speeds of up to 290 km per hour, so using it for energy production was an obvious choice. The building will be constructed in Poland in the form of modules and transported to King George Island by sea. There, it will be mounted onto 36 concrete poles. The streamlined shape of the building is supposed to make it resistant to strong winds, and the alignment of the building is to give its interior the optimum amount of sunlight. The planned cost of the building is 90 million zloty. The Department of Antarctic Biology at the Institute of Biochemistry and Biophysics is looking for funding for the project at the Ministry of Science and Higher Education and Ministry of Foreign Affairs of the Republic of Poland. If they get the funding, building the new Antarctic station will start in 2020.